I recently acquired two Toshiba Portege M400s and since the hardware in those is pretty old and therefore pretty useless I was hoping to take the screens and convert them into cheapo drawing tablets for my other PCs. The monitor part is fairly straight forward but I can't for the life of me work out how I'm supposed to connect to the Wacom controller board. I've read several threads on this forum but haven't seen any post with a similar configuration to that in these laptops. I'm kind of scared I might feed 5v into one of the ground connections if I start prodding around and as such I was hoping one of you folks could help me out. Does the M400 working? I mean boot to OS and pen working? If M400 still working, please check voltages on each pin (each wire). I'm worried about pin 1 (left blue wire). Manufacturer need to add that wire so there are risk that digitizer may not work without it. You need pins 9 (RXD), 10 (TXD), 13 (3v3), 14 (GND). Pins 7, 8 and 12 are mostly useless. Pin 11 can be use just for fun (connect LED that shines when digitizer detects pen). If You wish to use this digitizer with Linux, You can use USB->serial converter. If You want to use this digitizer across many platforms, WaxBee converter is the only working solution. More info about WaxBee can be found on this forum. Yeah, both system boards still work and the digitzers also worked (although I did accidentally cut one of the monitor cables while taking apart one of the laptops). What would be the best way to measure the voltage across the line? The cables on the connector are minuscule and I'm not exactly sure if it would be best to try and strip some of the insulation or to just get a clamp meter. Clamp meter can measure current only. You need classic meter with two probes. 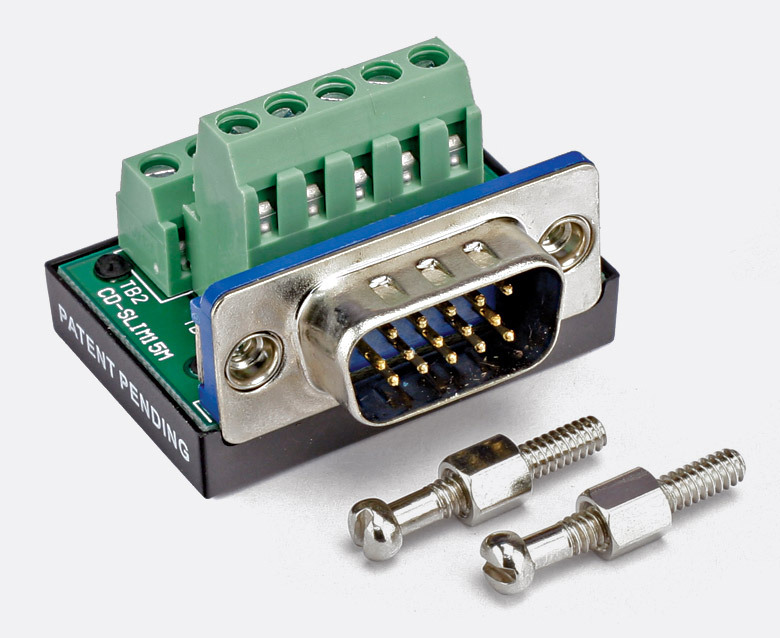 The best way I found is to attach negative meter input to metal shield of any connector (USB, VGA, etc.) then touch each pin (separately) with positive meter probe and read voltage. For negative meter input I prefer to put meter probe in VGA screw or unscrew it and use that screw to mount copper wire. Here example photo with removed screws: https://www.canford.co.uk/Images/ItemImages/large/44-103_01.jpg just use force and twist that screw. It's designed to be unscrewed if need. That's brilliant! Thanks for the tips. I've ordered some Tensy boards and I'll get the readings for the different wires when I have a bit of time to spare. Teensy can run either from 5V (USB), 3.3V (external supply) or 3.3V (USB + soldered LDO) but digitizer can run only on 3.3V. Connecting them to anything higher than 3.6V may destroy them permanently (not tested yet ). On board 3.3V voltage regulator is much simpler than external one. I chose external one because Pro Micro doesn't have place for internal one.